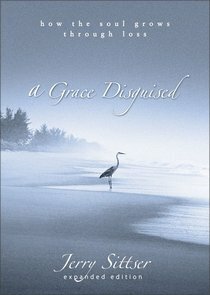 About "A Grace Disguised (Expanded 2005)"
An expanded edition of this classic book on grief and loss-with a new preface and epilogue.Loss came suddenly for Jerry Sittser. In an instant, a tragic car accident claimed three generations of his family: his mother, his wife, and his young daughter. While most of us will not experience such a catastrophic loss in our lifetime, all of us will taste it. And we can, if we choose, know as well the grace that transforms it.A Grace Disguised plumbs the depths of sorrow, whether due to illness, divorce, or the loss of someone we love. The circumstances are not important; what we do with those circumstances is. In coming to the end of ourselves, we can come to the beginning of a new life-one marked by spiritual depth, joy, compassion, and a deeper appreciation of simple blessings. Customer Reviews For "A Grace Disguised (Expanded 2005)"
Wow. Jerry Sitter lost his wife, mum and daughter in a car accident, leaving him with three young children, a whole lot of grief and a new day to day life to navigate. This book is so powerful especially for someone who is going through any form of grief, not just through loss of a loved one. Jerry doesn't skirt around those hard questions like: where God wasis and how to equate the standard Christian phrase that God will bring good out of it. I loved his vulnerability as he takes you on his journey of discovering God's grace in the midst of pain. This isn't a quaint little book with easy answers. Some questions are answered but you really finish the book knowing that God loves you and you can trust him in a deep and powerful way as you rest in his grace. It was recommended to me as book to give to someone going through deep grief but I would say anyone in ministry with people would find it a really valuable resource to read.